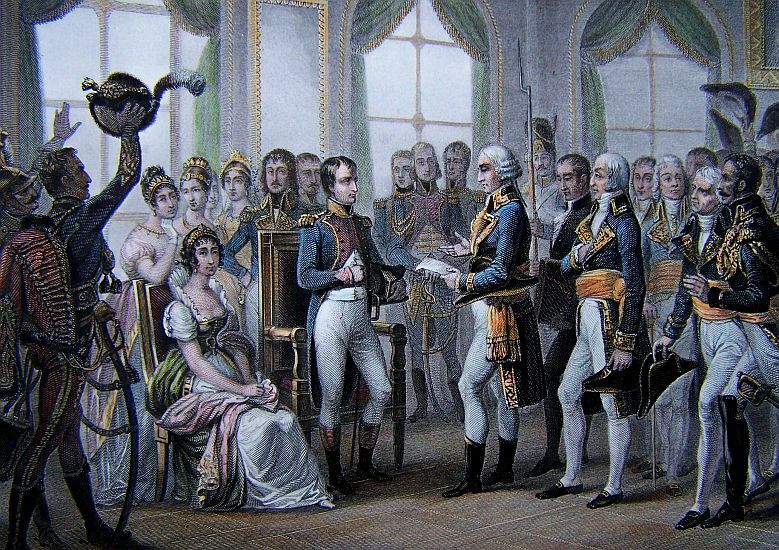 The French were ready for political calm so on the 18th of May 1804, the senate passed legislation that nominated Bonaparte to emperor. 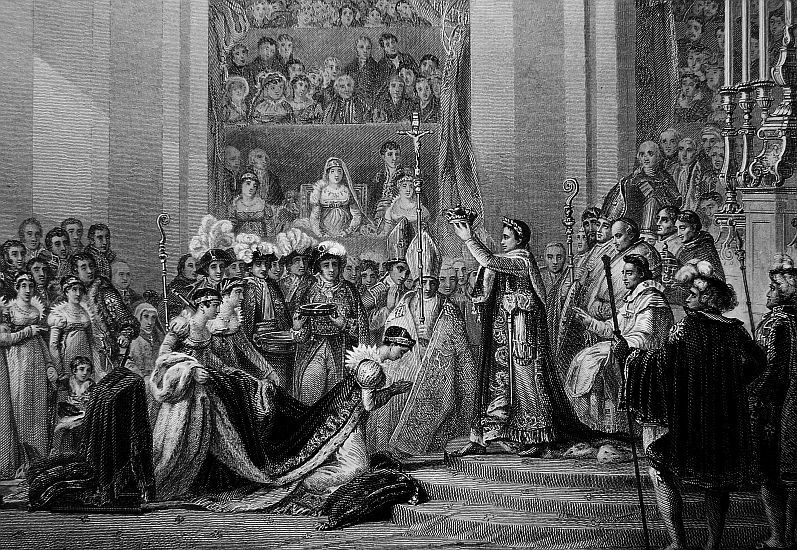 The measure passed on the 6th of November, paving the way for Bonaparte’s coronation. 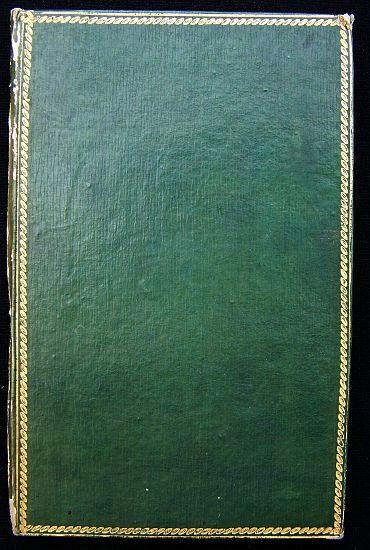 In September Lannes returned to Paris to find Bonaparte working on the last details of the coronation. For the most part Lannes was left out of the production so he could be with his wife, who was expecting their third child. However, Lannes and Augereau were sent to Fontainebleau to welcome Pope Pius VII, which must have been an unpleasant experience for all. 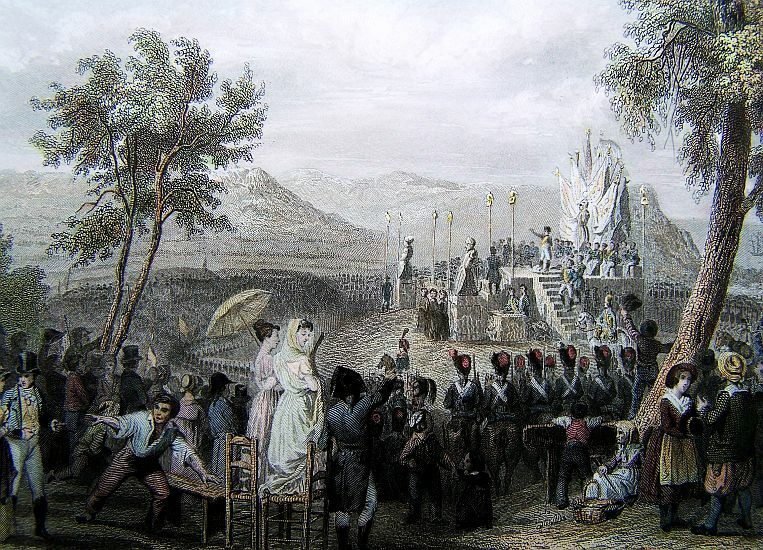 Soon all eyes turned toward the cathedral of Notre Dame and its long procession led by Murat. 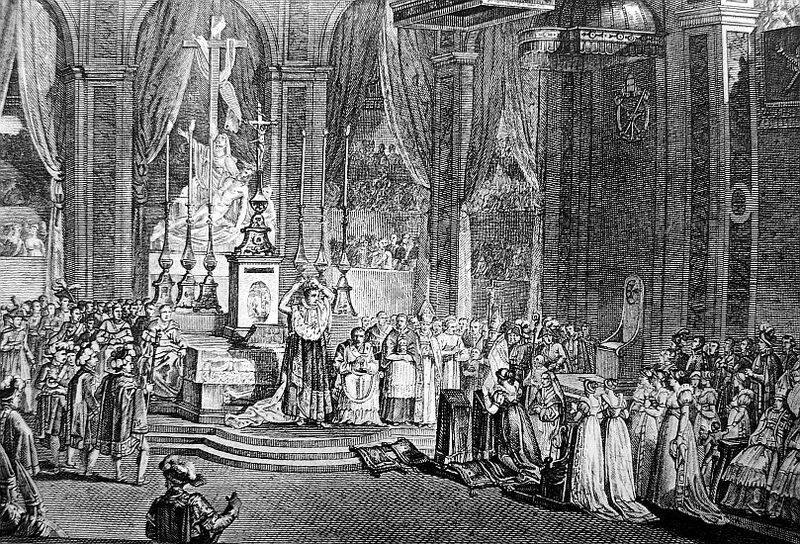 Upon entering the cathedral the three hour coronation ended with Bonaparte crowning himself, Napoleon Emperor of France. 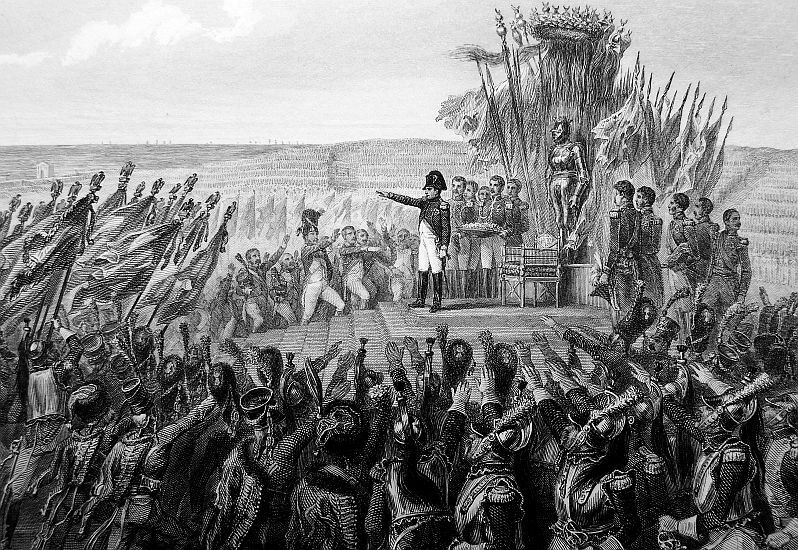 On the 2nd of December 1804, the revolution ended but the not the wars. 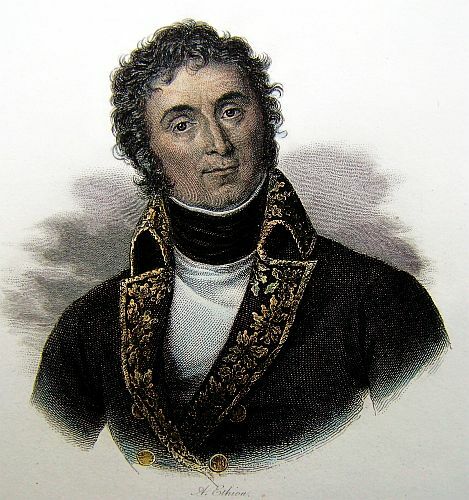 Lannes returned to Napoleon’s side to take a loyalty oath to the new emperor. 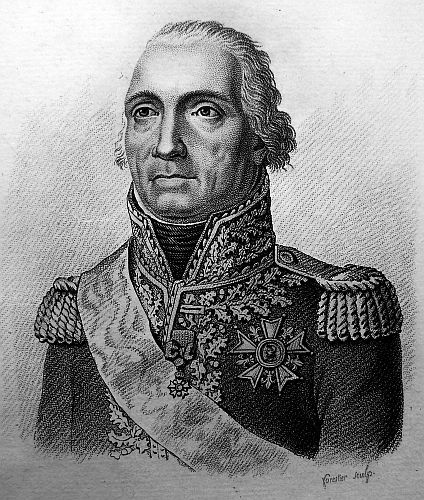 Within months Lannes would be in command of the 4th Corps in Boulogne, which was preparing for the invasion of England. We are informed, that the Council of State resolved yesterday to abolish the Chronology, commonly called the Republican, and to introduce again the old Gregorian Calendar. Their IMPERIAL MAJESTIES arrived yesterday in the afternoon, at a Palace of the Thuilleries, from Fontainbleau. On Monday Prince JOESEPH arrived at Fontainbleau, and made a visit to the POPE; Prince BORGHESE also visited his HOLINESS the same day. On Sunday the Minister of War, of Religion, and of Police, the Secretary of State, and the great officers of the Crown, were presented to his HOLINESS. On the next day, the Grand Judge, the Ministers of the Interior, of the Finances, of the Public Treasury, of the Military Board, and the Counselors of State presiding over Sections, were presented. On Tuesday, the Imperial Marshals AUGEREAU, MONCEY, MASSENA, SOULT, NEY, D’AVOUST, LANNES, BESSIERES, and the Colonels-General JUNOT and D’HILLIERS, were presented. On Monday the POPE paid another visit to the EMPEROR and EMPRESS, and dined with their MAJESTIES. On Tuesday the EMPEROR visited the POPE; in those different visits the POPE and EMPEROR conversed with each other for a considerable time.